After a gruesome battle that lasted days between the Srilankan Army and the LTTE ( Liberation Tigers of Tamil Elam) finally ended. With a huge list of dead men on both sides. SriLankan army claims that they have ended a terror group while the LTTE who claimed that they fight for the rights of Tamil people. Well we would never be able to know the whole story. But let us know more about LTTE and their leader Prabahakran. 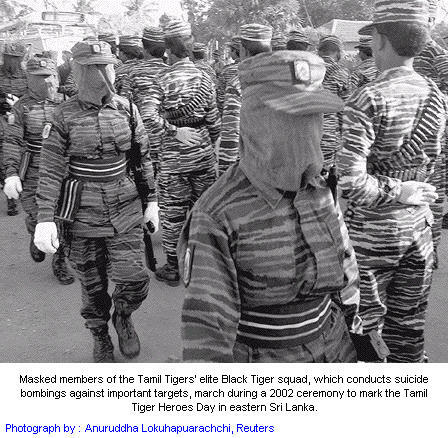 The Liberation Tigers of Tamil Eelam (Tamil: தமிழீழ விடுதலைப் புலிகள், ISO 15919: tamiḻ iiḻa viṭutalaip pulikaḷ; commonly known as the LTTE or the Tamil Tigers) is a militant organization based in northern Sri Lanka. Founded in May 1976, it has actively waged a violent secessionist campaign that seeks to create an independent Tamil state in the north and east of Sri Lanka. 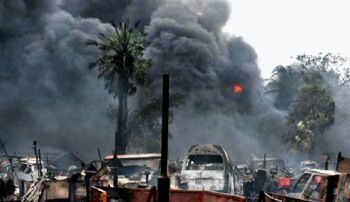 This campaign had evolved into the Sri Lankan Civil War, one of the longest running armed conflicts in Asia, until the LTTE was militarily defeated by the Sri Lanka Army under the government of Mahinda Rajapakse in May 2009. Since its inception, and until his death, the LTTE was headed by its founder, Velupillai Prabhakaran. The Tamil Tigers are currently proscribed as a terrorist organization by 32 countries (see list of countries). The Picture shows Antony the dead son of Prabhakaran. The Lankan army were much concerned with the growing power of the elam as they had been using suicide attacks as a warfare tactic. They have even used women as suicide bombers. Like in the killing of Rajiv Gandhi. Also they had a huge force of soldiers and tanks, with a naval base and also had few airplanes which were used for attacks few times. 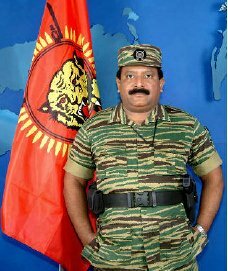 The lankan army had published the news all-over that LTTE’s leader Prabhakaran is dead but a few other sources declined that. The picture shows Prabhakaran in November 2002 at the heroes week celebration.